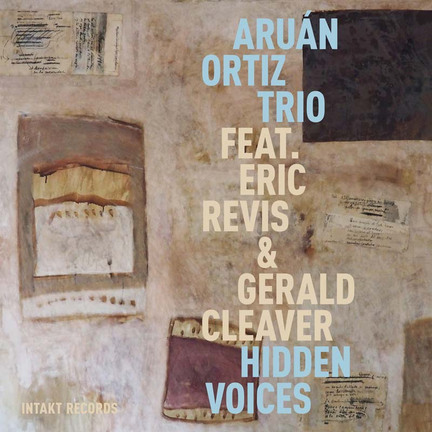 It would be easy for Aruán Ortiz to take the well-trodden Latin-jazz piano-trio path, and there are times on Hidden Voices when he goes there. 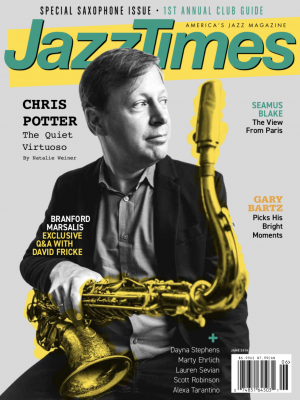 It seems nearly defiant when he does though, as if the Cuban-born leader, working here with bassist Eric Revis and drummer Gerald Cleaver, wants listeners to know that he is well aware of his roots but has no intention of being confined to them. Ortiz is too restless a composer and improviser for that. It’s telling that, of the non-original Ortiz tracks on Hidden Voices, one is a Thelonious Monk tune (“Skippy”) and the other a medley of two by Ornette Coleman (“Open or Close,” found on the eponymous 1979 Old and New Dreams album, and “The Sphinx”). Apropos, because those fellows are Ortiz’s most obvious and consistent reference points: the zigzagging, shape-shifting rhythms; the fractured harmonies; dynamic, helter-skelter U-turns. Ortiz enjoys leading the rhythm section down a road, only to see where they go when he pulls the rug out from under them. Invariably they’re up to the challenge, and just as adept at affecting deflections of their own. But it’s not all about that, either. Following the opening punch of the twisty “Fractal Sketches,” the smoldering “Caribbean Vortex/Hidden Voices,” the Ornette medley and the brooding “Analytical Symmetry,” Ortiz breaks things up with the two-part “Arabesques of a Geometrical Rose,” the first a solo contemplation subtitled “Spring,” the second a largely even-tempered trio piece, “Summer,” spotlighting Revis. “Joyful Noises” is something else altogether, the kind of freeform randomness, punctuated by much-appreciated spaces, that might occur if you let a bunch of feral cats loose in your rehearsal room and allowed them to walk all over your instruments. “17 Moments of Liam’s Moments (or 18),” the most purely Latin-esque number (albeit less than two minutes of it) and another solo piano run, “Uno, Dos y Tres, Que Paso Más Chévere” (the other cover, credited to Rafael Ortiz), round out this grab-bag of good ideas consummated admirably.